I watched Bill Cooney’s “A Pre-School Lunge Session” video topic on Equestriancoach.com and had some questions. I love ground work and currently use it in some form every day with a very green 4-year old I just purchased. I have had been trained many different ways in lunging/ground work and had many different opinions. When working with a young green horse on the line in the winter, I am assuming a little play would be acceptable and beneficial to the horse as they can release that extra energy. What is your response to the horse when they spook and bolt or spin from factors going on around you out of your control? Could you tell me how you work through a more fractious young horse? Thank you so much in advance! Hello, and thank you for sending your question in! I love ground work for youngsters and especially for horses like the one you described here. I use a modification of Parelli’s work when doing line/ground work exercises. I find that the rope halter with pressure points and the short (12ft) rope helps to keep better control of the horse. Start slowly and always make sure that the horse is focused on you before you ask him/her to do anything. Then take your time introducing the rope and lunge whip, as to not instill any fear. We want respect but not fear. 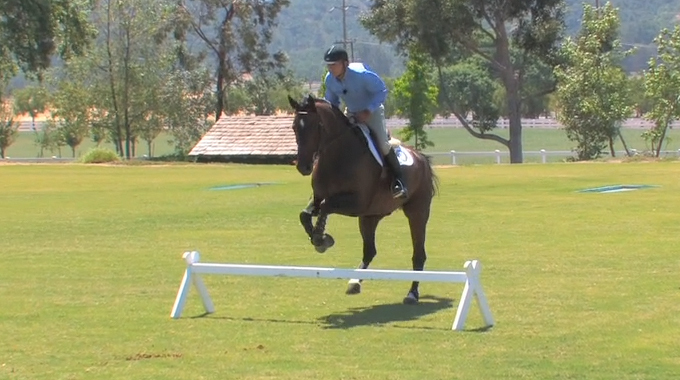 Next, ask the horse to move from pressure (front end, hind end, rein back, and head down). 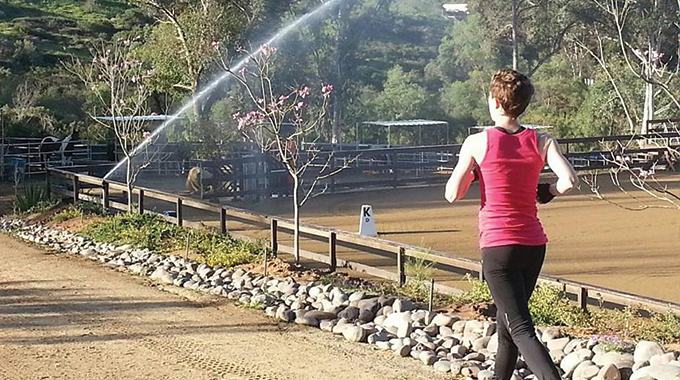 Make sure that you give your young horse jobs to do while training on the line. Keeping them mentally stimulated is so important, you can do this with frequent changes of direction and transitions. I do not actually allow any bucking/playing on the rope at this point of training. When the horse is free lunging they can play as long as it’s not in an aggressive manner. What I find is that when you ask and kindly demand that the horse focus on you when working on line, they end up learning more and also get more in tune with you as their leader. I hope this helps, good luck! First of all, I am a firm believer that young horses do best when they have adequate time to just “be a horse,” and burn off their excess energy during long daily turnout rather than standing in a stall. That said, I realize the challenges that winter can pose when weather presents icy or limited conditions. Doing ground work with your youngster can be very useful. Many techniques work as long as your horse gets in the habit of looking to you for direction and you develop mutual respect and trust. A young horse that has been cooped up in a stall isn’t likely to be all business. Even a small arena or indoor can look like sweet freedom. Lunging is usually your best bet to start out. The most important caveat is safety—for both you and your horse. Being kicked can be devastating, and just as serious even if your horse didn’t intend to hurt you. It is your responsibility to assure your horse never has the opportunity to turn away from you and place you in a vulnerable position. Correct lunging demands the handler’s full attention at all times and this is never more true than on a brisk winter’s day! 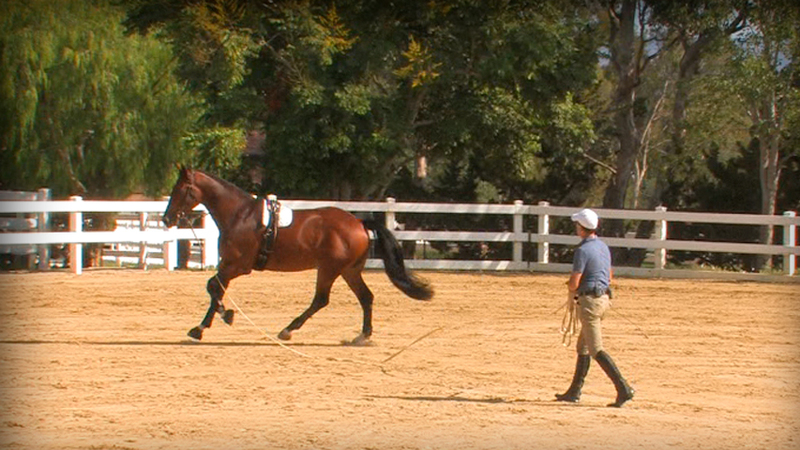 Be sure what you are using to lunge is effective, yet fair, and comfortable for your horse. There are a variety of choices: from a properly fitted rope halter (one that is designed to get more attention than a simple leather halter), or perhaps a lunge with a chain end that you fit through a halter ring, over the nose through the other ring, and either clip back on itself or clip on the upper halter ring on the far side. Be sure not to have a length of extra chain left to swing in the horse’s face and always take the time to reposition it from the other side before changing direction. If you have a bridle on your horse, use only a snaffle bit, and either remove the reins or twist and loop them through the throat latch so it is impossible for your horse to step on or through the reins when playing or lowering his head! Either put your rope halter over the bridle or run the lunge line through the bit ring closest to you, run it over the poll and snap it onto the bit ring on the outside. Never simply snap the lunge onto one bit ring, it will pull on his mouth in a way that will accomplish nothing. Learn to keep your lunge line in neat loops at all times. It takes practice to keep the loops of a generous size (but not so long you might step on them). Play out the line and re-loop it when you bring your horse in towards you. Correct lunging means being able to control a lunge whip as well, since using the end of the lunge line to get a horse moving will create a mess of everything: irritating, inefficient, and dangerous. Take the time to organize things as you proceed. The short breaks you take to do so gives your horse a chance to settle and learn to treat lunge sessions as serious work, not an opportunity to escape your control and do whatever he wants. Pay attention to the size circle you work on. Having an area that is contained on at least two sides is a good idea until you and your horse are old hands at this. Your circle should never be so big that your horse forgets that you are in the center. Even when he is very fresh, his attention should always be easily redirected back in your direction no matter how interesting he finds other things. While a bit of spooking or scooting, even a buck or two, is fine, I do not believe allowing a horse to run around the lunge circle is ever a good idea. The odds of injury are just too high. Lunging to get your horse tired only leads to more fitness—and less discipline—not helpful with a strong young horse. 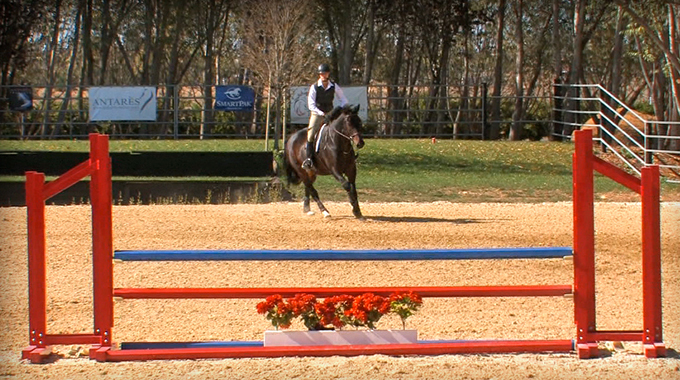 Instead begin asking your horse to take direction from you even as he burns off a little steam. If he wants to gallop, use a quiet voice and repetitive bending his head and neck toward you until he is willing to work at the trot. Change gaits and direction frequently, as those transitions will settle his mind and begin to gain his attention. That brief ten minutes or so will have him ready to pay attention when you either ride him or do other sorts of ground work. I personally feel that side reins (even the ones with elastic) tend to teach horses to either lean on the bit for balance or else evade by going “behind the bit.” With my young horses, I found that accustoming them to the “gogue” was of great value. A gogue runs on both sides from the girth (either a surcingle or the saddle) between the horses front legs, through the bit (a big fat or rubber snaffle), then up through a ring on a strap that sits over the horses poll, and back down to the girth again . This triangle arrangement permits the horse freedom to experiment: raising the poll means bringing the nose in, while lowering the head allows the nose to go out. Let your horse figure out the options with it adjusted fairly loosely to start. Once they discover the ‘long and low’ response, and the wonderful stretch they get over their top line, a little reminder with the lunge whip to further engage the hind quarters will encourage a soft back, neck, and jaw, while building strength in the muscles that come into play carrying a rider and continuing their training. When a horse is accustomed to the gogue (start with it loose and let them play a bit, then adjust it a bit shorter for a brief period of work on the line), it can be very advantageous with just about any youngster and even some older horses that don’t naturally have a soft and relaxed back. Have fun working with your youngster. Don’t expect perfection when conditions are challenging, but do make sure that you are always attentive to safety for you both. By the time spring arrives, your good ground work will make further work under saddle all the better. Geoff Teall gives a member advice on how to get her hunter horse straight when he bulges right out of the corner and drifts right in lines on course.